Jet Petroleum was set up in 1954 when the price of petrol would have been the equivalent of 4.9ppl. In the 60 years that Jet has been retailing fuel, the industry has gone through a massive overhaul. Originally set up in Yorkshire, Jet soon expanded nationally and in 1961 was bought out by Continental Oil, an American fuel retailer, which is now known as Phillips 66. 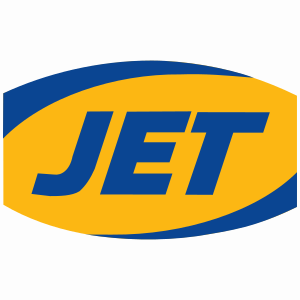 For a short period of time Jet was marketed as Continental Oil, but due to the lack of brand recognition, they swiftly switched back to Jet. Jet sells standard fuel, as well as a range of premium fuels with there Super Unleaded coming in at a 97 RON and their premium diesel, called Sentinel, which they claim helps to manage corrosion in the engine as well as cleaning it. One thing Jet is very proud of is the fact that all their fuels are legally classifiable as sulphur free. All their fuel is refined in a refinery based in East Lincolnshire, something else that they are proud of, as it shows their English heritage.